The second iteration of Exercise OCEAN EXPLORER will feature a complex web of maritime warfare training, trials and exercises, all designed to challenge the Navy's top warfighters to achieve sea control. OCEAN EXPLORER 2018 will be carried out over a three week period off the east coast of Australia around Jervis Bay, Maitland Bay and adjacent sea and air spaces. The main aim of the exercise is to develop Navy's task group capability, to operate a number of ships under one commander and focus primarily on sea control operations which can include the full spectrum of maritime security operations from diplomacy and international engagement at one end, through to humanitarian and disaster relief, constabulary and peacekeeping operations, and at the upper end of the spectrum, warfighting. 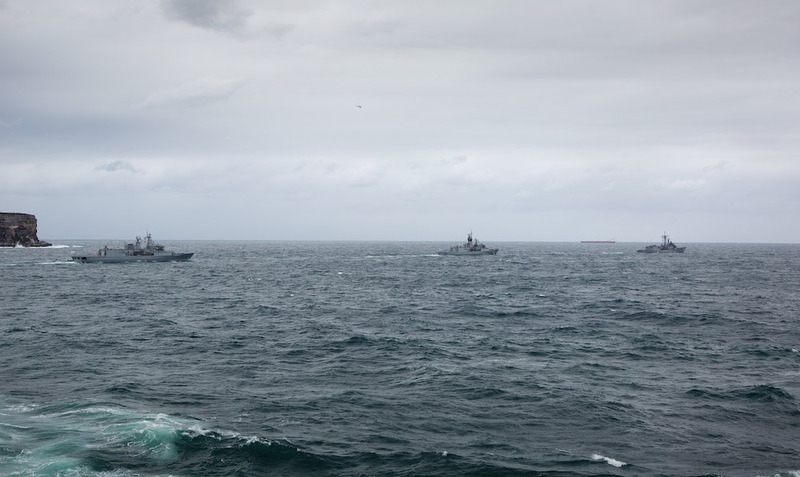 The exercise will feature anti-air and anti-submarine warfare, maritime strike and interdiction, maritime advance force operations and command and control. It will also incorporate unit readiness workup training for HMA Ships Success and Farncomb and Her Majesty's New Zealand Ship Te Mana and culminate in amphibious operations by HMAS Canberra in the Bass Strait. In total, two submarines, ten ships and embarked aircraft will participate in the exercise. International participants include a ship each from New Zealand and the United Kingdom. Exercise OCEAN EXPLORER 2018 news articles are available on Navy Daily. Exercise OCEAN EXPLORER 2018 images are available on Navy Image Library. Note: All exercise imagery will remain in the Navy Image Library though the album for the exercise will only remain available until 31 March 2018. HMAS Ships Melbourne (right) and Stuart lead HMNZS Te Mana through the heads of Sydney as they depart for Exercise OCEAN EXPLORER.